This is my 11th volume of music from The War Between the States. 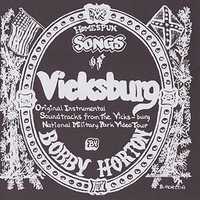 In 1997 I had the opportunity to produce these instrumental tracks for the Vicksburg National Military Park Video Tour. All of the tunes presented here are from the "period" with the exception of four melodies I composed for the project. Like the others in this series, I did all the arrangements, played the instruments, did the liner notes and cover art by hand, and recorded here in my home production studio (on TASCAM DA-88 recorders) – hence the "Homespun" in the title.